Our business offers towing and monitoring services to assist commercial or residential entities in the event that private parking rules need to be enforced. We understand that it can be challenging at times to enforce these rules by yourself, and so it is our job to be a presence for you to establish and enforce any parking violations that come about. In areas where businesses or residences are surrounded by community parking needs, this service is especially valuable. 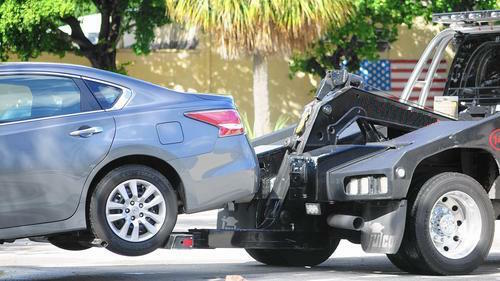 Our towing professionals come in and post towing signs where appropriate, and will meet with you to discuss how you would like parking violations to be enforced, and whether you would like for us to communicate with you before action needs to be taken or afterward for your records. Our telephone assistance and private property enforcement services are available 24 hours a day 7 days a week. We are also able to assist you in any type of weather at any location. Our St. Louis city towing services are represented by towing professionals and equipment that are licensed, bonded and insured for your safety and security. We can place towing signs where appropriate to designate your space, as well as provide digital photos at any time enforcement is necessary. We can also provide a towing history report at any time for your convenience. Most importantly, all of our services are priced competitively for our customers and their peace of mind, so that they know they are receiving excellent service at an affordable price. We also recognize that some of our customer’s needs may be different or unique from others. We strive to accommodate a variety of situations, and have plenty of experience in assisting individuals with varying preferences and requests. At St. Louis Towing Services, we value integrity, responsiveness and reliability for every customer we assist. It is our duty to serve you, and to do it with excellence. We believe that in private property enforcement it is important to be a responsive and reliable company, and we handle all issues with integrity for all parties involved. When equipment and private possessions are in our care, we handle them with respect. In addition, we understand that the purpose of private property enforcement is to ensure that other parties are not parked in your area in order to establish order and a sense of security for you as a business or residence. If you are interested in receiving private property enforcement services for your commercial or residential parking lot or junk car removal services, please give us a call at 314-888-5348 and we will be happy to discuss any of your needs. You can also fill out the form at the top right hand of the screen with any detailed information regarding your service needs, and one of our amazing customer service representatives will get in contact with you right away. If you have any questions regarding our services and what we can do for you, please feel free to call us so that we can provide a solution that fits your needs.